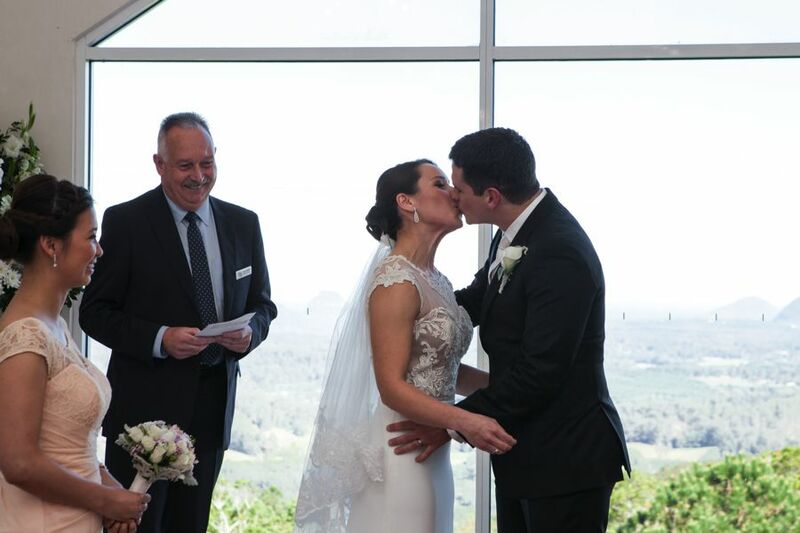 You don’t have to have your ceremony in a church, registry office or a stunning venue – be creative, weddings at your favourite park, overlooking the ocean or mountains are always a hit. Ceremonies held in churches will be very different from beachside blessings, for example, and each bring their own opportunities and restrictions. Wherever you choose, one way to make your ceremony feel your own is to choose a venue with sentimental value. Some of our featured couples have said ‘I do’ in the same church as their parents. Others have followed their hearts to their favourite destinations. Provide your guests with a safe place to place their cards and small gifts so your guests won’t have to hold these items throughout the service – it will add to your ceremony decoration, too. Ask your florist to design your arbour / aisle decoration flowers so they can be used in the at the reception afterwards. Also think about giving them away to relatives as gifts at the end of the night. Make your speeches more interesting and support them with light projections, slide shows or videos playing on a screen or against a wall. Add a personal touch to your ceremony styling by adding photographs of the bride and groom through the years, or perhaps pictures of your parents’ or grandparents wedding days. This is the moment that all those months of planning have built up to and it’s the reason you’re here today. Both civil and religious ceremonies have mandatory wording, but that doesn’t mean you can’t add your own touch. Your vows can be as simple as promising to make your spouse a cup of coffee every morning (one groom we know really did promise this and, several months later, he’s kept to his word). If you don’t fancy starting from scratch, remember that you can choose, to an extent, which of the traditional vows you make. When Meghan Markle and Prince Harry married, the bride followed in both Diana and Kate’s footsteps by choosing not to vow to ‘obey’ her husband. You can also incorporate symbolic traditions, from a blended sand ceremony, which signifies the joining of two families, to a hand-fasting. Whether you’d prefer to walk down the aisle to the romantic strings of a live quartet or to ‘your song’, music can make all the difference to the atmosphere at your ceremony. Make it your own by choosing songs that have played a part in your relationship so far. Perhaps there was a song that was always on the radio when you first started dating? Did your partner propose with music playing in the background? How about the track that became ‘your song’ during your time together? Opting for music that make you both smile and brings back good memories is guaranteed to inject a punch of personality. Your music choices needn’t be conventional, either. If you’re a couple whose skin crawls every time you hear something cheesy, it’s probably not the way to go. We’ve known couples to walk down the aisle to everything from the Star Wars theme tune to rock songs – proof that you really can celebrate your day, your way. Choosing readings can be an element of ceremony planning that couples struggle with – they’re probably not something you’ve ever had to think about before. And while traditional options are favourites for a reason, choosing less conventional readings can be a great way to personalise your day. How Falling in Love Is Like Owning A Dog is a great option for couples who wouldn’t be without their four-legged friends. Alternatively, how about asking someone close to you to write their own reading? From a sentimental poem to a collection of your funniest quotes, there are so many ways they can bring your personalities to the fore. For couples who aren’t fans of the spotlight, why not ditch the readings altogether? Don’t be afraid to keep your ceremony short and sweet, if that’s what suits you best. Let us create your perfect ceremony. Contact us today to arrange a meeting to discuss your ceremony requirements.